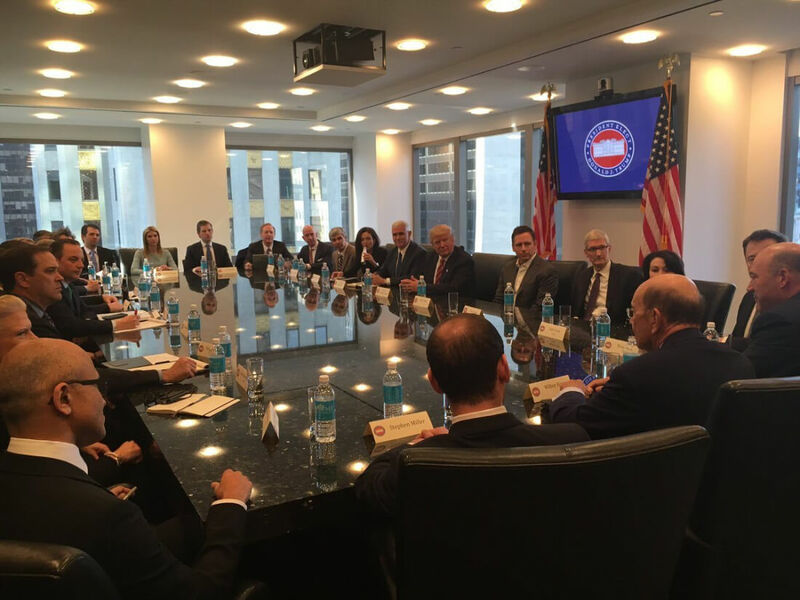 Back in December last year, several Silicon Valley leaders headed to Trump Tower for a meeting with the then President-elect to discuss matters relating to the tech industry. On June 19, another gathering of top executives is taking place at the inaugural meeting of the American Technology Council. According to Bloomberg, the meeting will focus on a number of topics, including cloud computing and tech sales to government agencies. The council is made up of government officials and is led by Trump’s son-in-law and senior adviser, Jared Kushner. Eleven companies are set to appear at the event, with Tim Cook, Satya Nadella, Jeff Bezos, Oracle Co-CEO Safra Catz, International Business Machines Corp. CEO Ginni Rometty, and Alphabet’s Eric Schmidt on the list of attendees. At the December meeting, Facebook was represented by COO Sheryl Sandberg, rather than CEO Mark Zuckerberg. While the social network has been asked to attend the upcoming summit, it hasn’t yet replied to the invite. Elon Musk, who publicly quit Trump’s advisory councils in protest against the President’s decision to leave the Paris Agreement, will reportedly not be attending the meeting. Even before he was elected President, Trump had a famously rocky relationship with the tech world. Last year’s meeting, which arrived just one day after hundreds of workers pledged never to help create his Muslim registry, was supposed to build bridges between his administration and the industry, but the immigration ban and Paris Agreement exit have caused more friction.